Melodic indie guitar rock with heartfelt intelligent lyrics delivered with joy or melancholy, but always with passion. 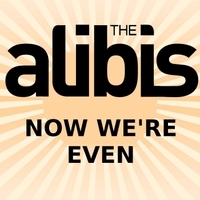 The debut album from The Alibis recorded at Chamber Studio in their home town of Edinburgh. In dancey rhythmic sounds of opener I Am Japan, a sleazy distorted vocal whispers over a pounding drum and bass with crashing guitar. Move Aside is next up with urgent drums and euphoric chorus it's a song of triumph over adversity. The sparse melancholy of Letters follows with echoing guitars reverberating around a delicate, emotional vocal. Drama Queen is a dark, brooding number with the feel of a Bond theme tune played in an abandoned theatre with its glamour faded over time. The scene quickly changes with Terlingua. A fast-paced, bluesy rocker with rollicking guitar and urgent rhythm section underpinning dark desperate lyrics. Its the sonic equivalent of a rioting bar-fight in a wild west saloon. You can almost hear bottles smashing and see chairs flying. Somebody Somewhere keeps up the pace with its catchy verse melody and uplifting, throw your head back and sing along chorus. The live favourite has all its energy captured here and is delivered in this ode to the best nights out of our lives. Brief Lives is again a mix of dark and light. The brooding verse speaks of clenching fists and bared teeth but the chorus turns it around as it questions whether what we believe are mistakes at the time are actually the things that we remember fondest. Maelstrom arrives in a fog of reverb and a haunting bass riff over a snaking drum beat as the hushed vocal is delivered before a searing guitar riff chimes in over the chorus. Final track Whispered Words starts with the pounding almost tribal drums complemented by an industrial guitar and bass riff. It gives way to a more delicate arpeggio with echoes of The Smiths before giving way to a signature anthemic Alibis chorus. We are played out over a chiming guitar hook that brings the album to a close.